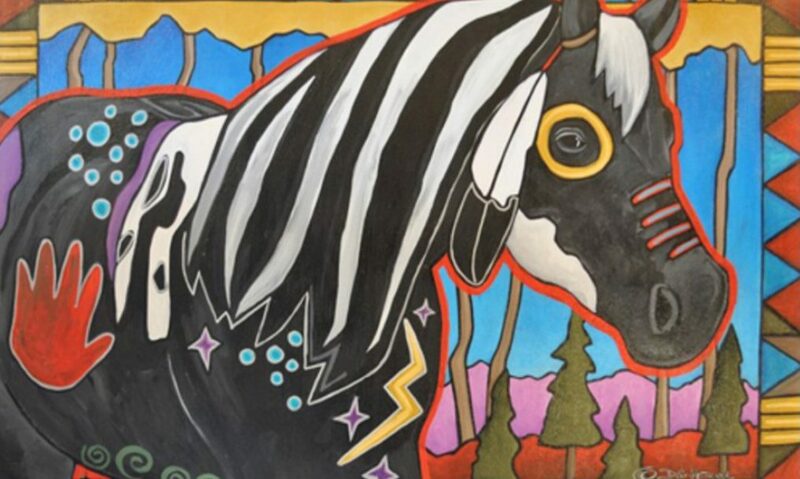 At First Peoples Buffalo Jump State Park‘s Visitor Center you can view works featuring contemporary Native American Artist DG House and members of the King Kuka family. House’s work is in permanent collections worldwide including musicians Sir Elton John, Sir Paul McCartney, Michael McDonald, Grand Teton National Park, and the Smithsonian Institute’s Museum of the American Indian in Washington, DC. Kingsley King Kuka was a local Blackfeet artist and poet, known for his paintings and lithographs he called “Kuka-graphs.” He inspired a generation of American Indian Artists, and his work is recognized internationally; it is said the Vatican holds one of these paintings in their prestigious collection. Sadly, King Kuka passed away in December 2003. However, his legacy lives on through the creative spirit of his family as his wife Marietta and 5 children. For more details about this show, contact Alice Southworth at 406-866-2217.